This guide contains information on resources for researching Blacksburg, Virginia, history in Newman Library, including Special Collections. Blacksburg, Virginia, was founded in 1798 on a thirty-eight acre tract laid out and deeded by William Black, for whom the town was named. The original town was limited to a sixteen-block area bounded by present-day Draper Road, Jackson Street, Wharton Street, and Clay Street. Blacksburg's town limits were slightly northeast of an earlier frontier settlement dating from 1748 called Draper' s Meadow, near the Duck Pond on the Virginia Tech campus. Smithfield, built in 1773 by William Preston, sits on the original Draper's Meadow site. In 1851 a Methodist seminary, the Olin and Preston Institute, was founded in Blacksburg; its sole building was finished in 1855, located on a hillside on present-day Main Street between College Avenue and the Mall. The Olin and Preston Institute, always struggling economically, was closed during the Civil War, and after the war it was reopened as the Preston and Olin Institute. Several years later the trustees of the Methodist school entered the competition for the Morrill land grant funds and--against sizeable odds--won. The new Virginia Agricultural and Mechanical College, now Virginia Polytechnic Institute and State University, was founded in 1872. Blacksburg and Virginia Tech have grown together. Now celebrating the town's Bicentennial (as well as the 250th anniversary of the Draper's Meadow settlement), interest in the town's history and development continues to grow. 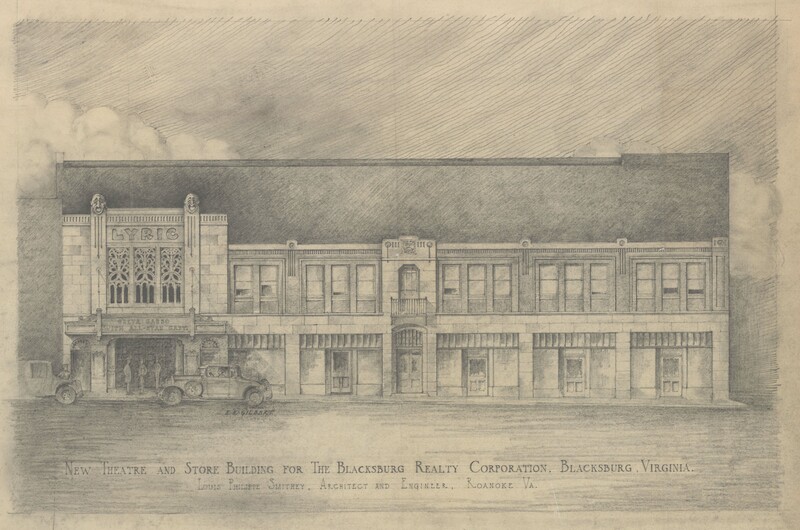 Researchers and those who simply want to know more about Blacksburg's history alike can find a wealth of information on the history of the town in the Virginia Tech University Libraries. Please note: The original guide was created in 1991 and does NOT include books and publications received after the mid-1990s. Researchers interested in finding newer materials should search the library catalog. Future updates to the current guide, including the addition of newer materials, are planned. This guide to resources on Blacksburg's history in the University Libraries was compiled in 1991 by Dorothy H. Bodell of the Cataloging Department and Catherine Wingfield-Yeatts of the Special Collections Department, who gathered, examined, described, and sometimes organized the materials it includes. The guide covers the following areas: books and articles; county and federal records relating to Blacksburg on microfilm; manuscript collections; maps; newspapers; photographs; and vertical files. Some of the materials described below can be found in several sections of the Virginia Tech Libraries. Books on Blacksburg's history, for example, can be found in the circulating collection, in the reference collection, in the Art and Architecture Library, and in the Special Collections. Other materials can be found in specific sections of Newman Library. For example, microfilmed census records, county records, and newspapers can be found in the Microforms Area. Several types of materials covered, such as manuscript diaries, letters, and business ledgers, original photographs, rare books, and rare maps can be found in the Special Collections. Such primary sources, many of them unique, are among the building blocks that historians will consult to chronicle Blacksburg's history and culture as it approaches its bicentennial. Many of these materials have been donated to the University Libraries by local residents. By placing them in the University Libraries, these donors ensure that the materials researchers need to write the history of Blacksburg will survive--and that the part their forbears played in that history will be told. We acknowledge the important role that local residents play in preserving local history, and we also welcome the use of these materials by local residents who wish to learn more about that history. While describing the variety of materials available to research or read about local history, this guide does not deal with the process of doing local history or the more generalized materials that local historians often use.